Whether your character is fierce and battle hardened, or shiny new and naive, they deserve to be protected from the dangers of our world. Featuring two 18-pocket pages with a side-loading card design, you can keep up to 36 standard sized spell cards safe. Ten 1-pocket pages hold character sheets or notes. 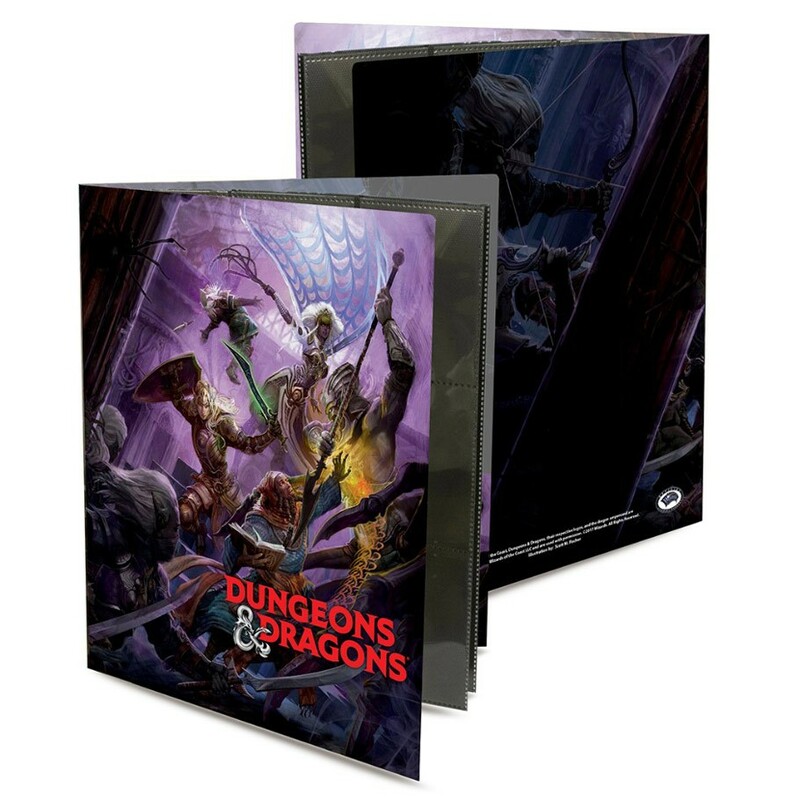 Keep your information secure between gaming sessions with our specially designed D&D Character Folios.